Crowds gather in front of the Duke Energy Center in downtown Raleigh for the annual HK on J march (Payton Tysinger/Carolina Connection). 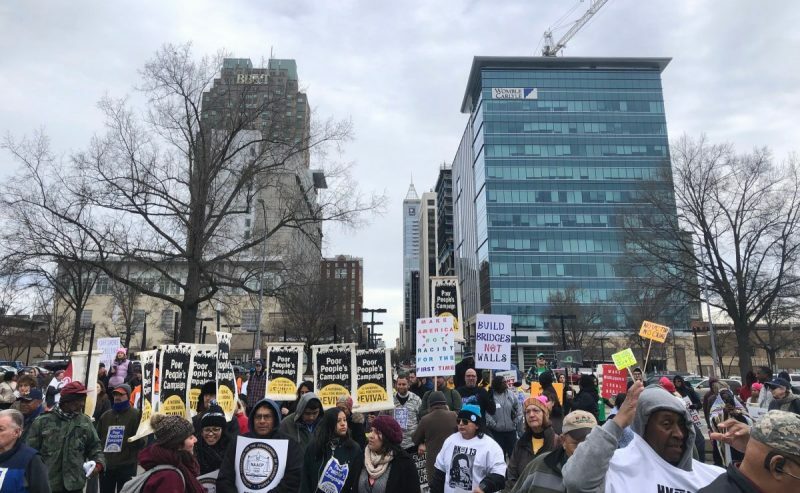 The Historic “Thousands on Jones Street People’s Assembly,” better known as the “HK on J” or “Moral March,” is beginning in downtown Raleigh this Saturday morning. It’s the 13th annual march, and organizers expect the number of people to reach well into the tens of thousands. UNC students will be among those thousands. Carolina Connection’s Payton Tysinger joins us live in Raleigh.